James Charles Marshal was father of Company MK’s Honorary Life President, Jim Marshall OBE of Marshall Amplification. Jim Marshall Snr served in the Royal Navy from June 1915 (aged 17 – rating “Boy II”) until June 1928. 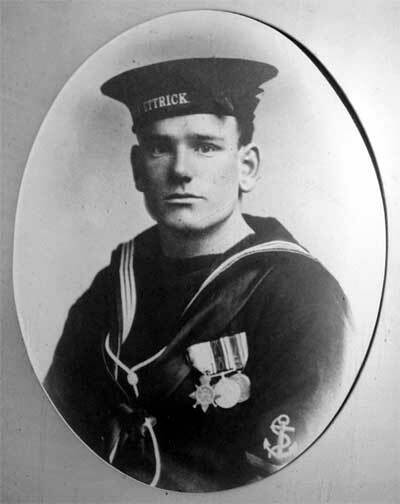 According to family history, he spent 18 hours in the water at the Battle of Jutland in 1916. Having been middle weight champion of the Navy he survived the ordeal, but was weakened by the experience, dying at 68 years of age. Like many sailors, he did several stints of shore duty (including his last posting) on the oldest ship in the fleet – HMS Victory in Portsmouth Harbour.